Year: 2012. Client: STC Telecom Group, Saudi Arabia. STC (Saudi Telecom Company) is the largest telecommunications company in Saudi Arabia. As part of its major rebranding in 2011, STC turned to Tarek Atrissi Design for designing and developing a custom bilingual typeface to become the written voice of the brand. 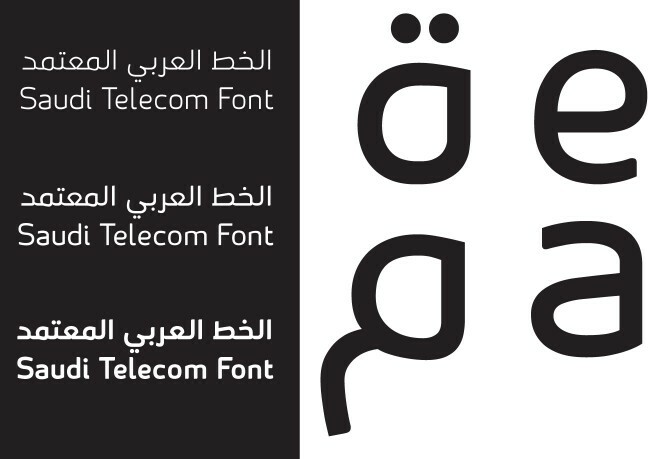 The result was a n exclusive new typeface developed for the Saudi Telecom, consisting of 4 weights both in Arabic and Latin. Both scripts were designed to match each other and use the same visual characteristics, without risking the legibility and authenticity of each script. 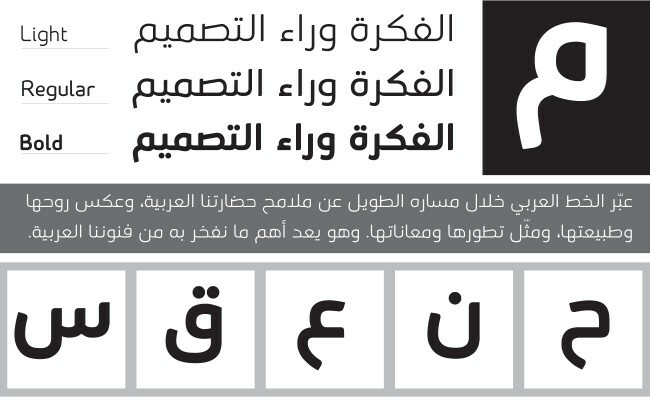 Particular focus was placed on insuring that both the Arabic and Latin fonts read at a same visual size. The font reflected in style and looks the image defined by the new branding of the company. 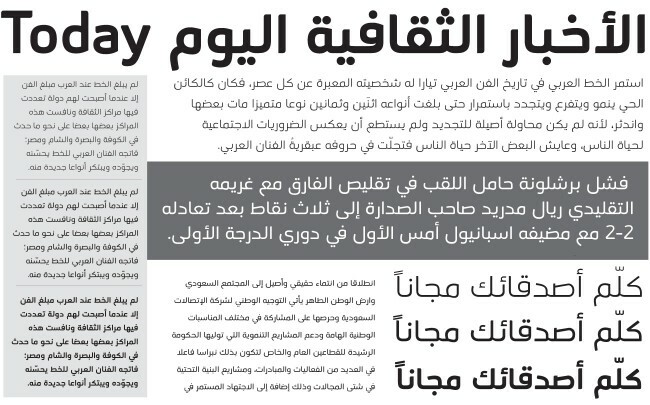 The STC font is one of the most visible fonts across the Kingdom of Saudi Arabia and is very recognizable as an integral part of the company’s branding. It is perceived by the target group as a friendly, modern and very legible bilingual typeface.